the black Mini ALL4 Racing. Nasser Al-Attiyah (QT) in the predominantly white Mini ALL4 Racing finished 3rd. The podium was firmly in hand of the Mini cars, which once again proved to be reliable and fast throughout the whole event. 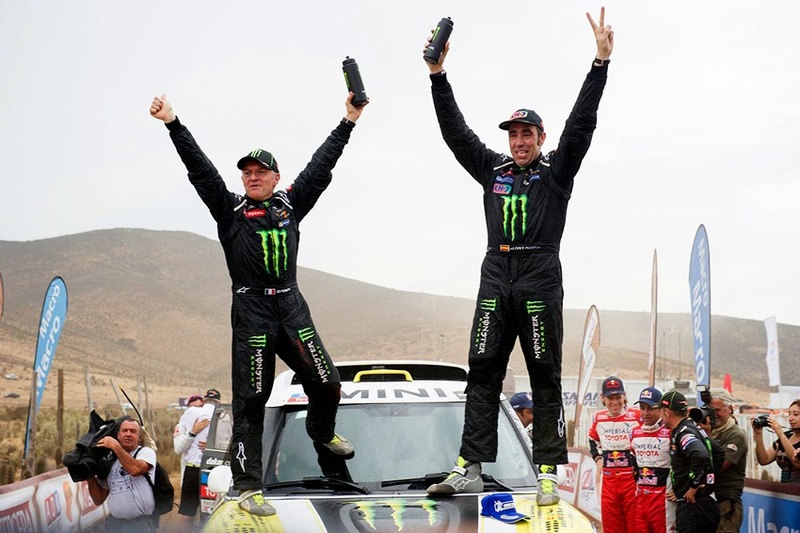 It was the first win for Nani Roma in a car at the Dakar Rally. The Spaniard had already won the event on a motorbike when it was still held in North Africa in 2004. "I'm so relieved and happy," said Roma. "It was my big goal to win the Dakar not only on a motorbike but also in a car. A dream came true for me and I want to thank everybody at X-raid and Mini for their great work!"